You’ll know exactly where your finances stand. You just won’t be the one waiting on hold with the credit card company. At Organized Instincts, LLC daily personal money management is our focus. It’s not an add-on offering to supplement accounting services or investment advisory services. We are 100% dedicated to paying your bills on time, keeping your financial documents organized, and making sure you always know exactly how much cash is coming in and how much is going out. As Georgia’s first Certified Professional Daily Money Manager and owner of Organized Instincts, Nanette focuses on providing professional financial organizing services. Nanette is a tenacious financial anthropologist, uncovering the intricacies of financial histories and analyzing transactions to help clients better understand their monetary pictures and build more prosperous futures. 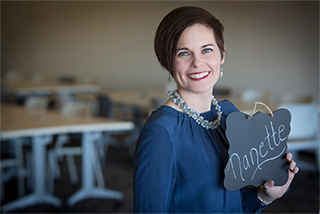 Nanette began her career as part of the prestigious General Electric Financial Management Program, a rigorous program combining on-the-job training and advanced classroom education. She continued on a career path with various progressive responsibilities in financial planning and analysis, commercial finance, and accounting with GE Energy. Searching for her next professional incarnation, Nanette set out to utilize her financial skills, innate abilities to organize and envision structure out of chaos, and talents at interacting with a variety of people in a meaningful and touching way. This led to her founding of Organized Instincts in 2005. Although never a cheerleader (despite her compact, “throwable” size), Nanette has always participated in sporting activities, including gymnastics, cross-country running, and yoga, and currently enjoys the equestrian life. She enjoys expressing her creative side with coloring and traveling to new destinations with her husband. A Georgia native, Renay attended the University of Georgia and Kennesaw State University, and attained a degree in Public Accounting. 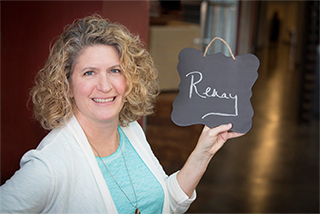 Her work in estates, trusts, and corporate accounting, and experience as an accounting manager for a controller, all reflect more than Renay’s deep and abiding love of math. Renay appreciates the organizational aspect of accounting and the way it follows rules and pathways to a logical conclusion. As a daily money manager she believes sound personal financial management averts problems and allows clients to live more confidently. Through her combined professional and personal background, Renay has gained insight into the essential roles which proper recordkeeping and financial oversight play in daily living, from catching overcharges to ensuring timely bill payment. She also recognizes the value of skills like navigating the complexities of Medicare and health insurance systems while serving Organized Instincts’ clients. Renay notes that a financial life reflects life as a whole, and by helping clients master their finances and maintain their records, they can better envision how to create a more robust future. Renay loves a good gadget and appreciates any app that can make life easier. She notes that although she and her husband both work in financial fields, their hearts are in the country. They raise chickens, go striper fishing, and support their children’s sports and outdoor activities. Maxine brings a wealth of professional experience to her role as Organized Instincts’ Administrative Specialist. 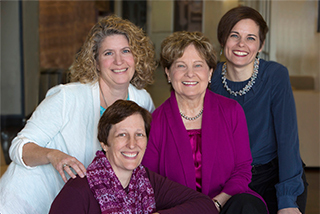 After a career supporting work teams at the University of Iowa, the law offices of a patent attorney, a major automotive division, a township supervisor, and a school district, Maxine embraces the variety of duties in her role. These include scheduling, testing operational systems, managing accounts receivable, and researching special projects. Maxine takes pride in directing the business office workflow and enjoys the challenges of implementing new technology to improve operations. 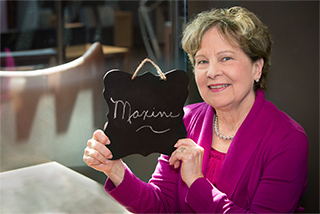 As a native of Iowa who has lived in Massachusetts, Michigan and South Carolina, Maxine delights in the cultural, historical, and interactive nature of travel, and has visited 47 of the 50 states as well as various countries, including Australia and South Africa. While she wishes she were taller, Maxine reminds others that two things come in small packages: diamonds and dynamite! reminds others that two things come in small packages: diamonds and dynamite! 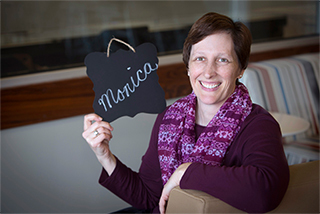 A native of New Jersey with Bachelor’s and Master’s degrees in education from the University of Illinois at Urbana-Champaign, Monica chose to put down roots in Atlanta, where it is “green and warm,” and devoted herself to an early career in special education. Monica always appreciated how even the simplest organizing skills and systems could improve student responsiveness. As Organized Instincts’ Digital Archivist and Office Coordinator, Monica applies her twin passions for learning and organizing to her roles in research, project coordination, and the development of an effective and consistent archiving system. She values supporting the team’s focus on clients, and revels in the tangible sense of accomplishment and sheer magic of the Fujitsu ScanSnap scanner. Since Organized Instincts, LLC was founded in 2005, we’ve earned the trust of hundreds of clients across the country, logged thousands of hours of experience with Quicken, and paid millions of dollars in client bills on time. Are you ready to let us handle the details so you can focus on the big picture? Review our process and understand the services we provide. Organized Instincts’ clients are busy families, traveling professionals, and semi-retired couples with complex financial lives. Their hectic schedules make it difficult for them to effectively manage multiple accounts, trusts, investments, and thick personal tax returns while still having time to enjoy the lifestyle they have worked so hard to achieve.